Deleting products can be handled in two different ways. First, you can delete the product in your store. 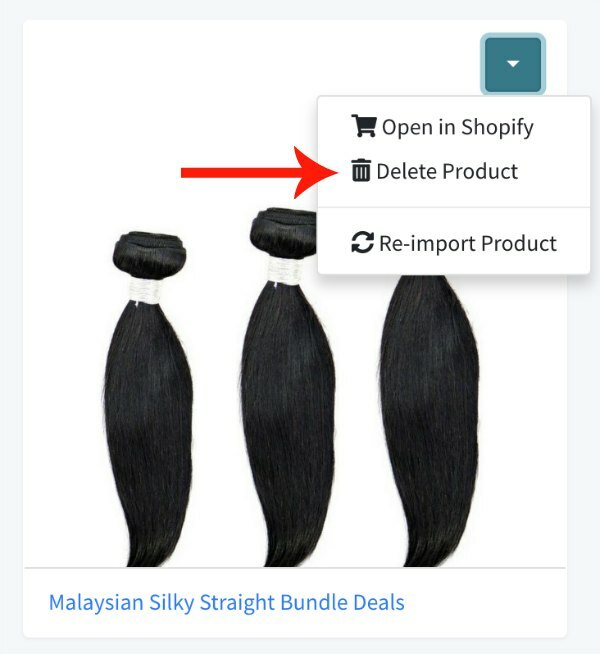 Just scroll to the bottom of your product page in your Shopify store and click Delete. You can also manage this process in the Dropship Beauty App. Go to Products –> My Products and find the product you would like to remove. Click the Arrow and a drop-down menu will appear. This will remove the product from your “My Products” list as well as your online store.